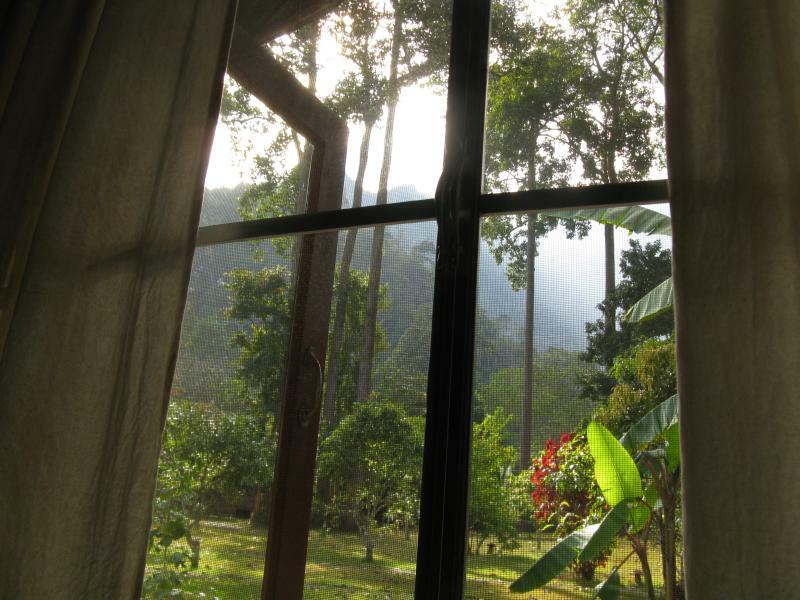 This was the view from my bed at Chiang Dao Nest 1, looking out the window towards the mountains. “It will only be a 20 minute walk…” I did the math in my head, and it didn’t quite add up, but I started walking towards Chiang Dao Nest anyway. 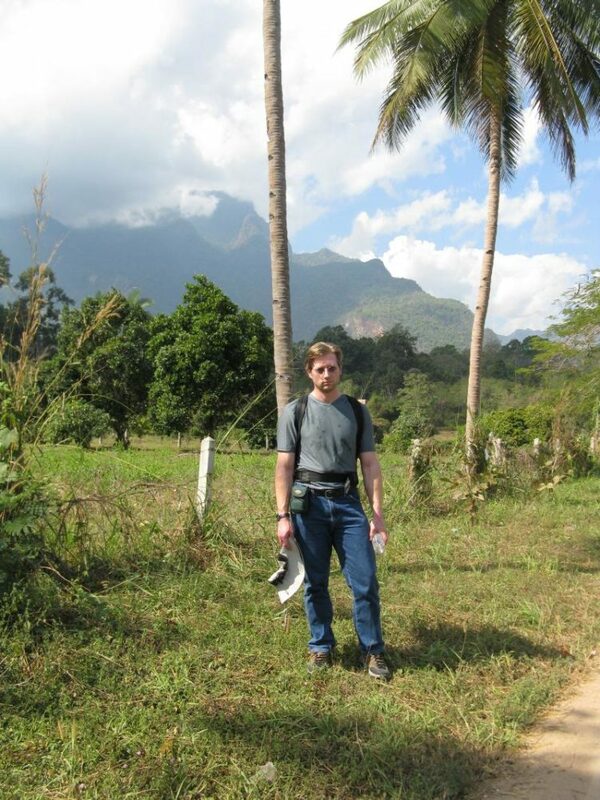 The air was warm and we walked past groups of huts and primitive local restaurants. Periodically, we saw a sign that told us that we were on the right path towards our accommodations. 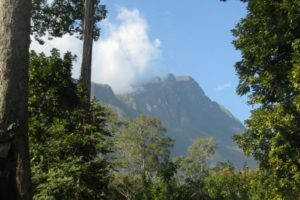 We could see dramatic mountain vistas ahead of us and on our left, which became more dramatic as we got closer, making us near giddy with excitement that we had gotten ourselves to such an incredible paradise. Is it really possible that we had left the hustle and bustle and dirty of streets of Bangkok just that morning and could be in such a beautiful place by lunchtime? Finally, we had arrived at Chiang Dao Nest, a mini resort that had received great reviews on both Tripadvisor.com and from our car driver who had taken us from the airport in Chiang Mai to the bus station and had told us that he goes there frequently and that it was lovely. Aaron’s lunch at Chiang Dao Nest-A lovely Thai spaghetti dish flavored with tamarind and coconut. Yum! Our room was not finished yet, so we sat down to a lovely lunch at the Thai restaurant at Chiang Dao Nest II (Chiang Dao Nest I is just down the road and has a lovely European restaurant.) Once our room was clean, we were given a ride down to Nest I, where we were welcomed and given a map of the area (with enthusiastic explanations of the nearby sights). Our bungalow was beautiful, the view from my bed of the mountains outside incomparable. 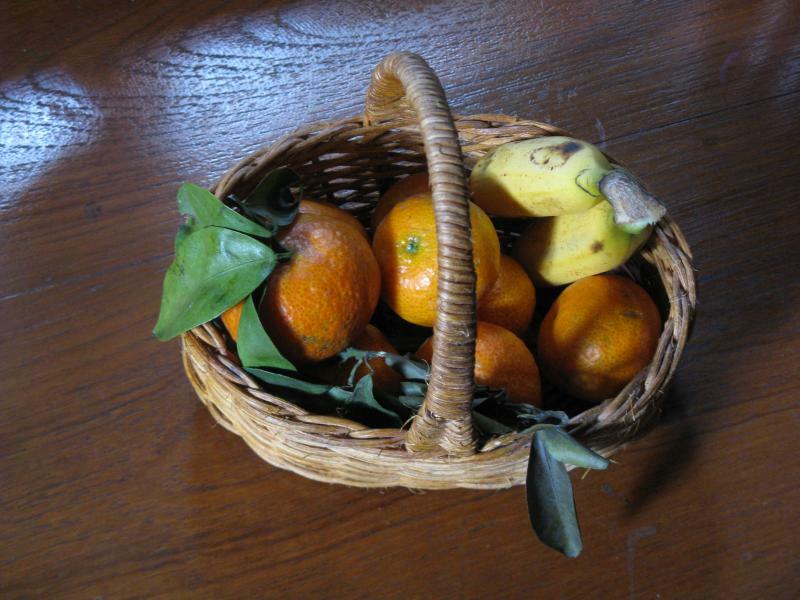 We particularly enjoyed the small basket of fresh local oranges and bananas that was in our room upon arrival. What a lovely welcome to our room! I love those little bannanas…they are so much sweeter than the ones we get in the states. Just a side note about the quality of the food-as I was sitting here writing this, I just saw some of the Nest employees picking fruit from a nearby tree to replenish the fruit that had been eaten at breakfast. 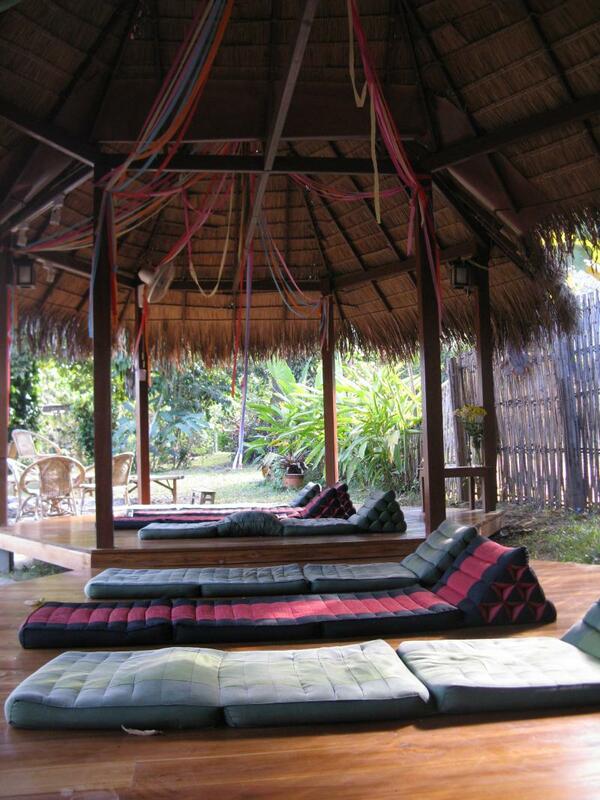 There are lots of inviting spaces at Chiang Dao Nest for just relaxing. 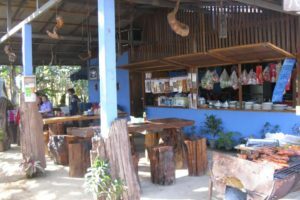 We still found ourselves eating most meals here because of convenience, but there are other restaurants at other small bungalow operations nearby that only explored a little. The price came as a bit of a shock after getting by so cheaply on street food in and around Bangkok. So, in short, I have decided that this is heaven on Earth and that it might possibly be one of the most beautiful places that I have ever been. 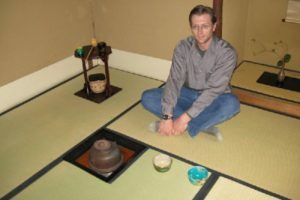 I will make a bold statement and say that no trip to Thailand should be without visiting this quiet, relaxing, out of the way retreat. TIP: Try to plan your stay at Chiang Dao Nest over a Thursday, as this is barbecue night. Both restaurants are closed, but no one will be in want for sustenance as the Chiang Dao Nest staff puts together an incredible barbecue with many different varieties of skewered meats and grilled vegetables as well as incredible sides.